My LG AC unit has a ch34 error. It stopped cooling properly and shows the error fault code CH34 on the display. The unit will run for a few minutes and then stop and display the error. What does error CH34 mean and how do I remedy the issue to clear the error code? My model number is LW8016ER. Please assist with troubleshooting my LG AC as it’s hot and the AC will not cool. 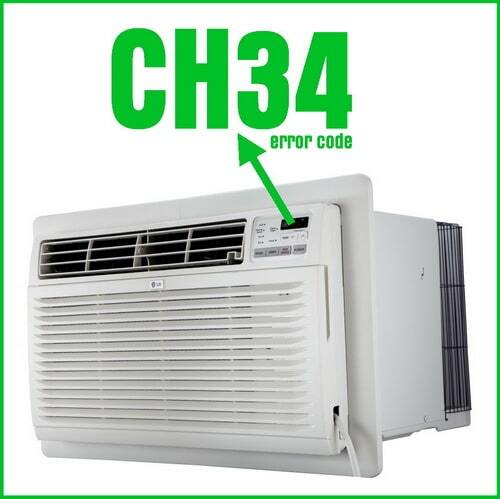 Many error fault codes on room AC units can be fixed with a few simple troubleshooting steps. Follow the information below to understand and clear the error code on your LG AC unit. This error displays if the SAFETY RELAY powers the unit down due to ABNORMAL PRESSURE building within the sealed system. This feature is built into the unit to combat overheating issues. The unit is overheating and needs to be checked, see below for further troubleshooting procedures. – Attempt a system reset by removing power for 10 minutes, then turn back ON. – Clean the condenser coils to regain optimum airflow. – Check the air filter on the unit for any sign of blockage, replace if needed. – Raise the temperature to a higher setting when away from the home. or shade the LG AC unit to reduce overheating. – The thermostat is heard clicking. This is normal: The compressor is simply starting and stopping. – The AC is making a ping sound. This is normal: Water is picked up by the condenser in high humidity. – Water dripping within the unit. This is normal: Water is collected in the pan during high humidity. – The fan can be heard running when compressor is quiet. This is a normal feature. 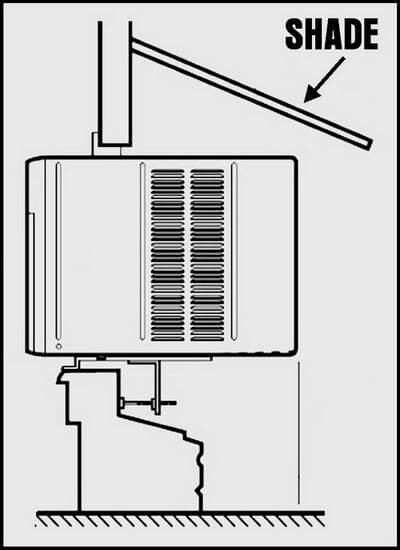 Need the manual for your LG Room Air Conditioner? for error codes: P2 or FL, CH34, E1 or CH02, E2 or CH01, E3 or CH03, E4, E5, F1, F2, or F3. LG AC CH34: Excessive pressure, check pressures, check the coil, make sure the air filters are clean. Check for OFN in system pipework. Did this help you to clear the error code on your LG air conditioner? If you are still having problems, please let us know the model number of your AC and the issue you are having by filling out the form below. We will get back with you after investigating the issue and try to assist you to fix your AC. Please allow a day or so for us to respond.